"IT WAS VERY hard for me. I had no English and no experience of America. They didn’t appreciate the Japanese style of bartending. 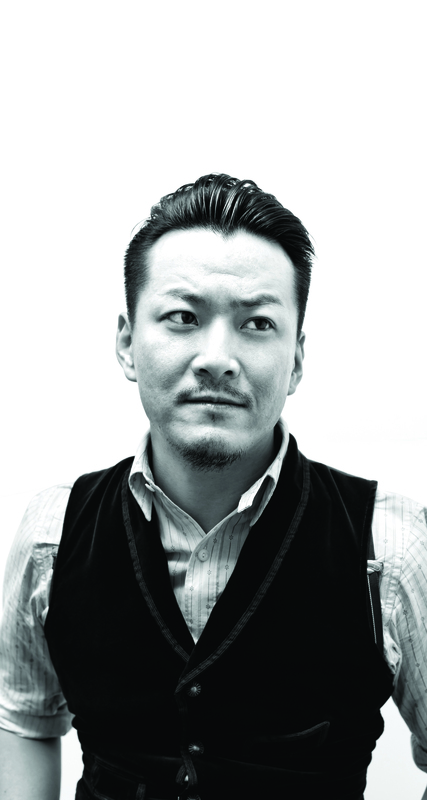 It was frustrating,” says Shingo Gokan about his move from Tokyo to New York in 2006. It’s about now, after 10 years in the US, he should say it was all worth it – vanquishing the painful memories in one clichéd blow. Gokan doesn’t. “If I had to do it again – I wouldn’t,” he says mat ter-of-factly. Gokan joined Angel’s Share six months after arriving. A rare outpost of Japanese bar culture in New York, Angel’s Share had been open for more than a decade already and, some say, was the inspiration for Milk & Honey – a bar that defined its era. In his 10 years at Angel’s share a lot has changed. “Now it’s hard to tell what is the Japanese style and what is western,” he says. But it’s not only the New York scene that developed to take in outside influence – Gokan adapted to his surroundings. “I learned the strong and weak points of American and Japanese styles and tried to take the good parts of both,” he says. Gokan’s international breakthrough came in 2012 when he won Bacardi Legacy, representing the US. In an industry that makes a lot of noise, it was a case of the quiet man cometh. His winning drink, Speak Low, did more than describe the man. It was a flashback to the speakeasy era of his new home and, even if we didn’t know it then, a flash-forward to his first bar, Speak Low, which opened in Shanghai in 2014. It arrived at a time when Shanghai’s bar scene was mushrooming – only the best stood a chance in this market. That’s what it proved to be and in 2016 it was voted no.2 in the inaugural Asia’s 50 Best Bars and 15th in the World’s 50 Best Bars. Gokan’s iteration of the well-worn speakeasy genre was proof that execution trumps concept fatigue. With an enhanced international reputation, Gokan has become sought after. Shanghai will see the launch of his second site at the turn of the year and, like Speak Low, Sober Company is another attempt to bring western drinking culture to Asia. It is a doll’s house of parts. At the front is Sober Café, which majors on coffee and aperitifs. Sober Kitchen is a modern Chinese restaurant, with cocktail paring and food-inspired drinks. Sober Society is where you go for digestif cocktails and brown spirits. Then, if you’ve passed muster in the first three rooms, Gokan will invite you to the hidden bar, Tipsy, which you certainly won’t be by that stage of the evening. Later this month Gokan will leave Angel’s Share. With two bars in Shanghai, another in New York planned for 2017, and a fourth on the radar (destination tbc), his career is now about building a global portfolio. But wherever he finds himself he will be able to draw on his Japanese-American hybrid identity. “When I do a bar in Asia I am trying to be more international and in New York I’m trying to be more Japanese,” he says. So perhaps those hard first days in New York were worth it after all. Like a bartending chameleon, he learned just how to adapt and prosper, no matter his surroundings.